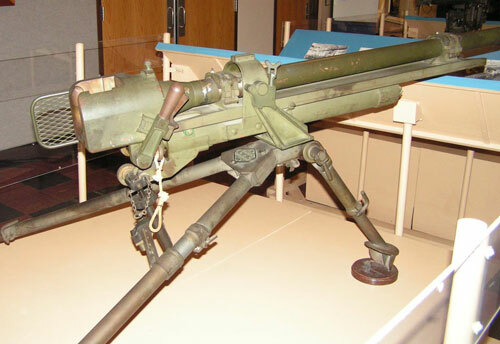 The US 10th Mountain Division was a unique formation in the US Army and had some equipment that other divisions didn’t field. 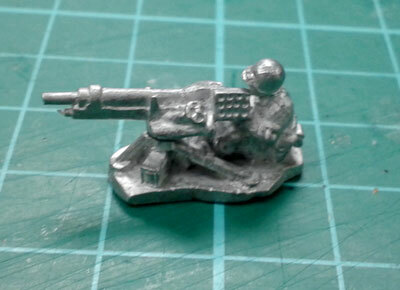 One of these was the T32 Mountain Infantry Gun. 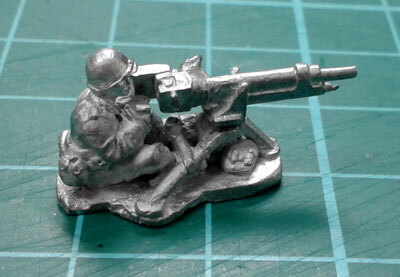 This light 37mm gun could be broken down and carried in a light vehicle or on the back of a pack mule. 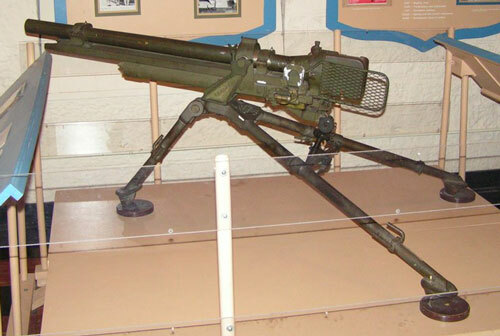 In combat the T32 gun was mounted on a tripod similar to a .50 cal machine-gun tripod. 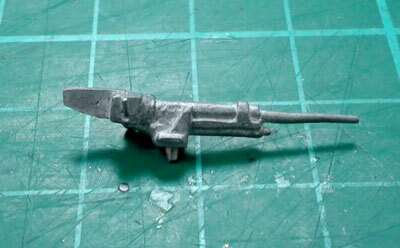 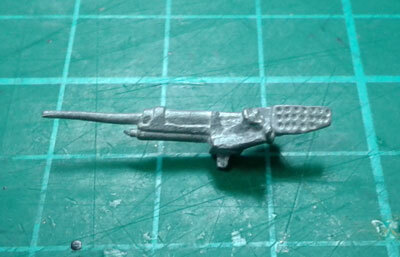 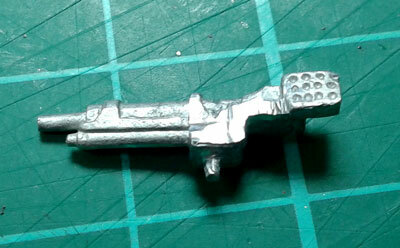 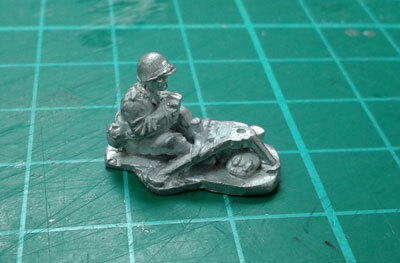 The T32 Mountain Infantry Gun is easy to create from bits already available in the Flames Of War range. 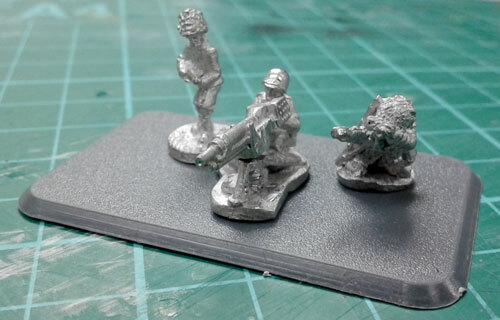 You will need three USO501 M3 37mm gun for the 37mm gun and two US718 Armored Rifle Platoon Dismounted MGs to make the whole platoon of three guns. 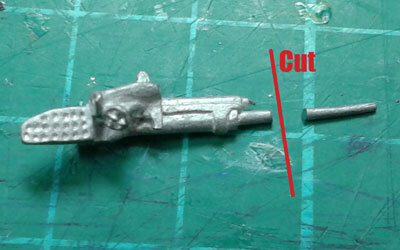 Cut the M3 37mm gun barrel down so it protudes by about 3mm over the recoil slide. 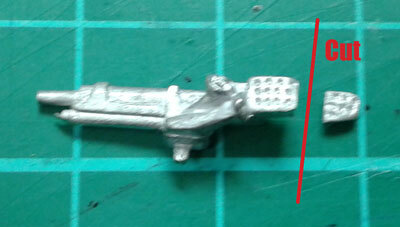 Reduce the length of the shell deflector as shown in potograph. 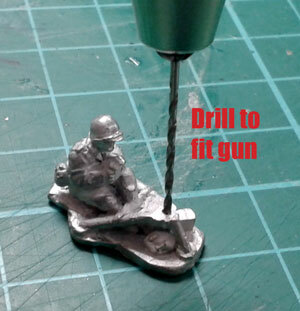 Drill out the hole on the .50 cal MG gunner tripod to better fitt the large pin on the gun. 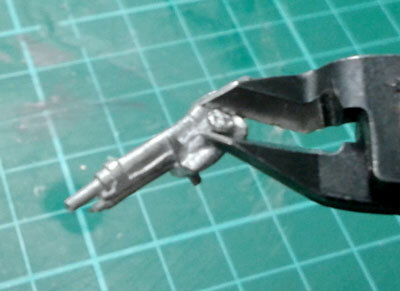 Using a pair of clippers, a hobby knife and some files, reomove the elevation and traverse wheels, as the T32 gun did not have these fittings. 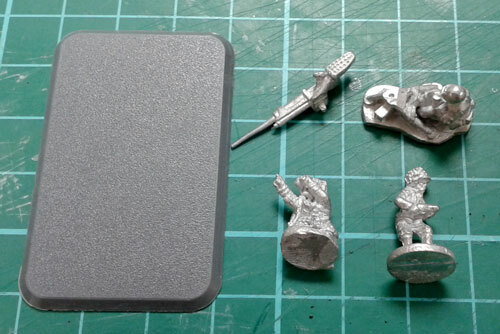 Glue it all together and paint your models.